I am in my mid-30’s. I am single. I am a woman. (Oppsss, did I just give that way too easily?) And I am a sucker for romance. Dont get me wrong, I dont read romance novels anymore, nor I only watch romantic comedies or weepy love stories, but when it really matters, like most women, I love a good romance. 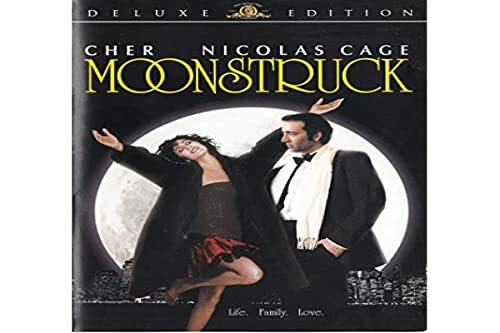 Recently when I was feeling so down in the dumps, I decided to revisit my DVD collection and watched one of my all time favorite romantic comedy, “Moonstruck”. The other rom-com that shares the same honor is the mother of all romantic comedies, “When Harry Met Sally”, anyway, this blog entry will be about “Moonstruck”. If you have seen this gem of a film, I bet that your favorite scene and line were those spoken between Nicholas Cage (Ronnie) and Cher (Loretta), remember this immortal lines? And Puccini playing in the background is just too much for one heart. I just love this film. I just love being in love. snowflakes are perfect. stone is perfect. stone is a snowflake? Must watch this movie before the year ends, it’s tradition.